We have been adding a sparkle to the lives (and ovens) of thousands of happy customers in the Liverpool and the North West, since launching our oven cleaning business back in 2003. We are proud to of built a business on word-of-mouth recommendations and regular repeat business but we are also proud of the investment and hard work we put into excellent customer service and after sales care for our customers and clients, as we believe by offering a great service, coupled with excellent customer service and after sales care, you will want to work with us again in the future. In the last couple of years, we have been widening our scope. 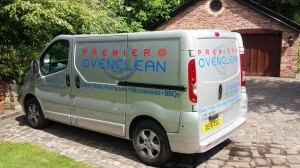 As well as building professional relationships with new domestic customers, we have also been successful at securing contracts with local landlords who want us to clean ovens as tenants move in and out. We are also working with three large private schools in the area, where the ovens are used regularly by over 2,000 students in term time and need cleaning during the holidays. We are proud to serve our variety of customers across the North West and look forward to the new challenges and people we meet on a daily basis. If you think you need your oven cleaning then no matter how dirty it is, the size or the brand, we would love to hear from you as we would love to have the opportunity of returning your oven back to its glory days!